Cooked in the can (called retorting) which locks in the flavor and freshness while also softening the exoskeleton for easier digestion.Large size grasshoppers. 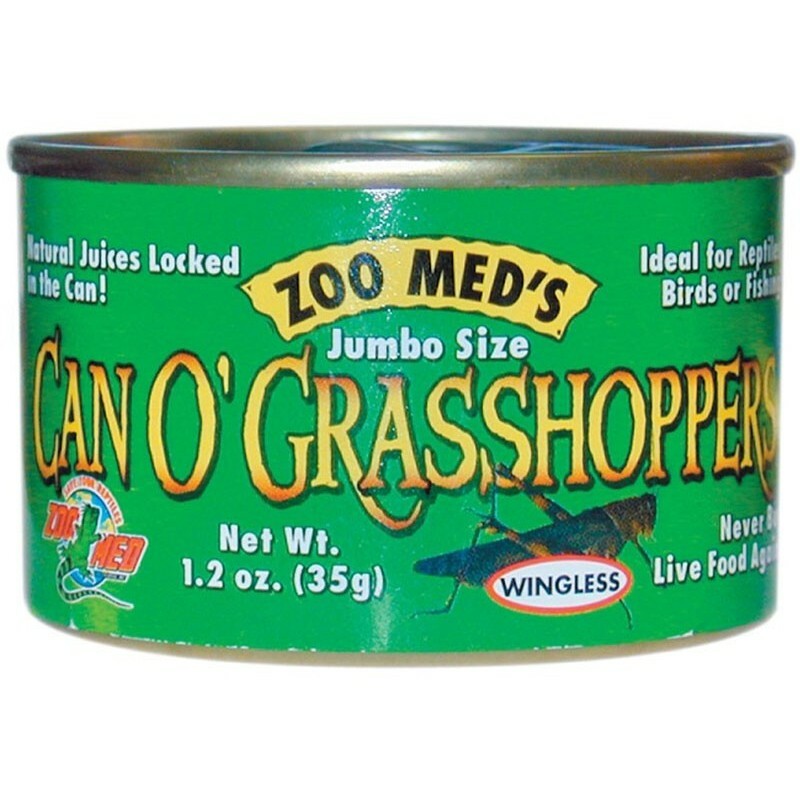 Ideal for large monitors, tegus, skinks, turtles, and birds. 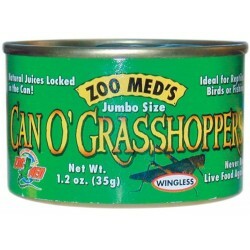 Extra large grasshoppers, 20 per can.